Explore cutting-edge research and ideas about authoritarian resurgence, democratic resilience, and other emergent trends in democracy studies. 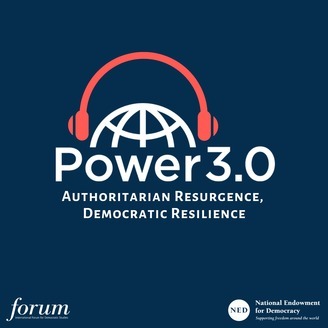 In this episode, featured guest Alina Polyakova discusses how authoritarian regimes have bet big on technology—including social media manipulation as well as new applications of artificial intelligence—as a tool to control political debate at home and disrupt democracy abroad. Alina Polyakova is the David M. Rubenstein Fellow in the Foreign Policy program at the Brookings Institution and an adjunct professor of European studies at the Paul H. Nitze School of Advanced International Studies at Johns Hopkins University. She specializes in Russian foreign policy, European populism, and U.S.-Russia-Europe relations. Christopher Walker, NED vice president for studies and analysis, and Shanthi Kalathil, senior director for NED’s International Forum for Democratic Studies, cohost the conversation. 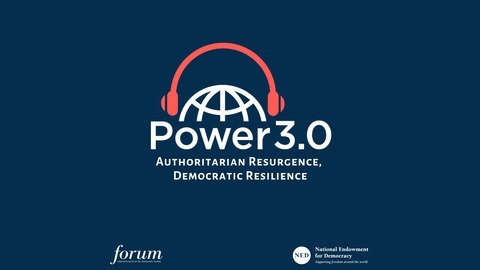 The views expressed in this podcast represent the opinions and analysis of the participants and do not necessarily reflect those of the National Endowment for Democracy or its staff.